TubeNet • View topic - 2019 Leonard Falcone Competition repertoire announced! 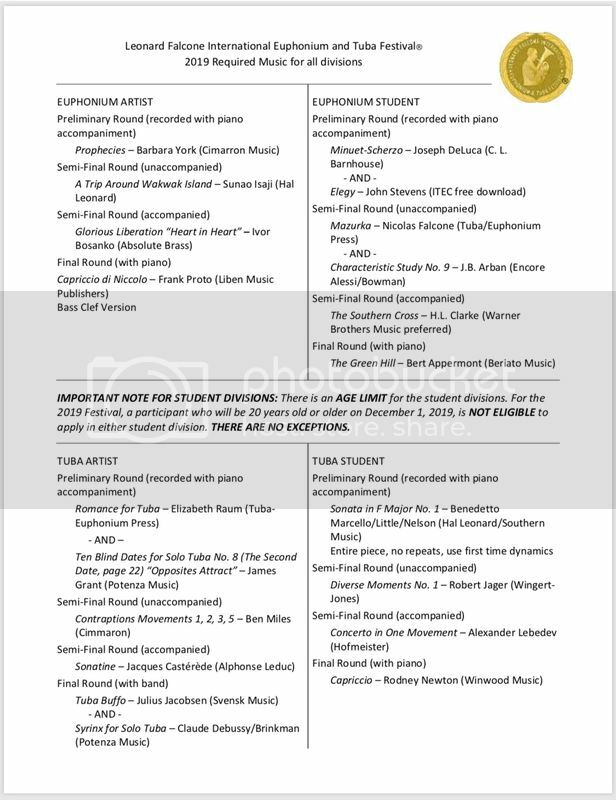 2019 Leonard Falcone Competition repertoire announced! NOTE: There is an age limit for the student divisions. For the 2019 Festival, a participant who will be 20 years old or older on December 1, 2019, is NOT ELIGIBLE to apply in either student division. There are no exceptions.